Vanity is a national specialty retailer that can be found in your local shopping mall (or if you don't live near one, online!). They have tons of cute and trendy items that also happen to be very affordable. I like that they have a wide variety of jeans that come in different cuts, washes, and inseams--which is especially important because I'm sure lots of you also struggle with finding jeans that are the perfect fit, as well as the perfect length. Must be a blog follower on GFC or Bloglovin'. 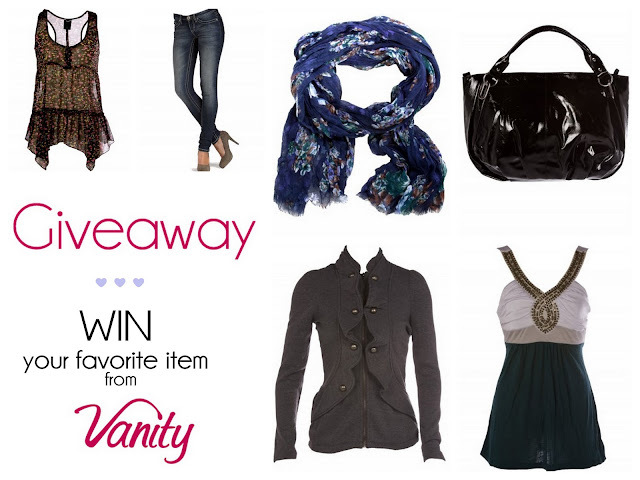 Check out Vanity's website and leave a comment in this blog post with the link to your favorite item and why you chose it. Be sure to include your e-mail address! Open to US readers only. 'Like' Vanity on Facebook and leave a comment in this post with your Facebook username. Follow Vanity on Twitter and leave a comment in this post with your Twitter username. 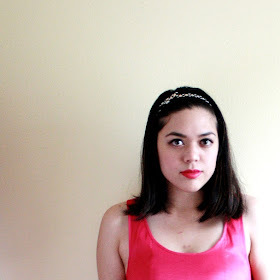 Leave a comment on my first transitional outfit post featuring Vanity. 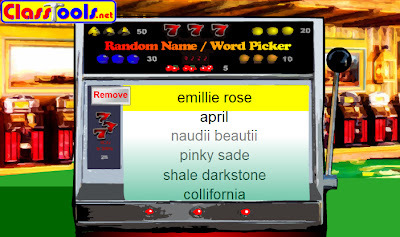 Congratulations, emillie rose for winning the eVanity giveaway! Thanks so much to everyone who participated!